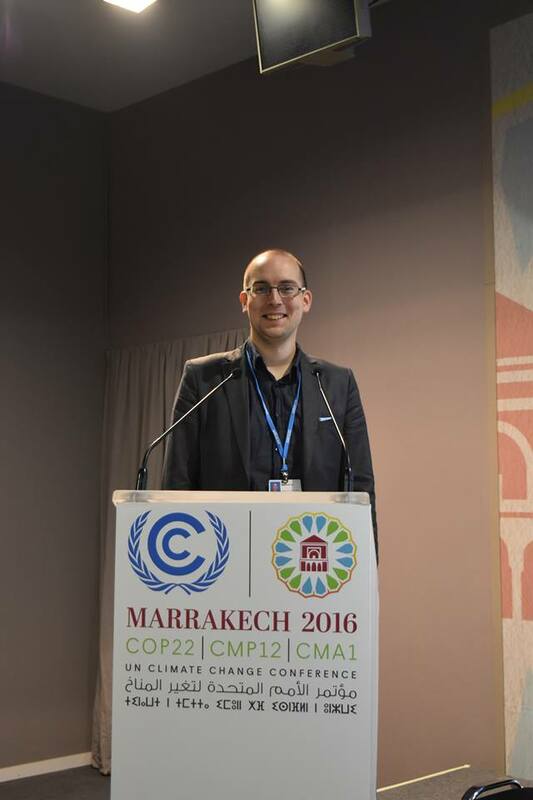 I am Mitja from Finland and also a part of the FYEG delegation to the climate negotiations of COP22 at Marrakech in Morocco. My expectations towards the negotiations are focused on action – what needs to be done to stop global warming? This year is heralded as the year of action yet during the first week we have seen no one coming out to show an example of how to be more ambitious with the crucial pre-2020 goals of the Paris Agreement. These goals are key in order to limit global warming to 1.5 degrees Celsius, which the scientists are estimating to be the safer point with minimal chance of a point of no return scenario happening. Of course we should actually aim for 0 degrees global warming but even getting the 1.5 target in the Paris Agreement was a major victory for climate activists. In the optimistic negotiations EU, US and China all come up with bold plans of action as a shining exemplary beacon and actually compete against each other on who is most ambitious and first to get the carbon-free economy running. On the pessimistic side nothing gets done, youth are kicked out due to bold activism in the conference area and civil unrest in Morocco stops the negotiations ahead of schedule. In reality not much is done, Trump’s election means a likely US exit of the Paris Agreement in the upcoming years due to the 1+3 years exit process, EU gets the Fossil of the Day twice for suggesting biofuels as a viable long-term solution and for its lack of ambition in the 2030 roadmap, and China comes out as the new leader in the fight against climate change. In just 2 days the world went upside-down. The heads of state have made their statements for almost all of the three days now. Pre-2020 ambition is nowhere to be found. Climate funding is nowhere near $100bn let alone the projected trillions it is projected to need. So I’m not expecting much any more. Individual small nation states and cities have to take the risks and be the examples since the big players won’t. The times are bleak and it is time for people to mobilise, to rise up, to get political and be the change we all want to see all over the world! Mitja Mieskolainen is a member of the FYEG COP22 delegation and comes from ViNO, the Finnish Young Greens. Tagged COP22, COP22 delegation, Marrakesh, Trump, UNFCCC. Bookmark the permalink.